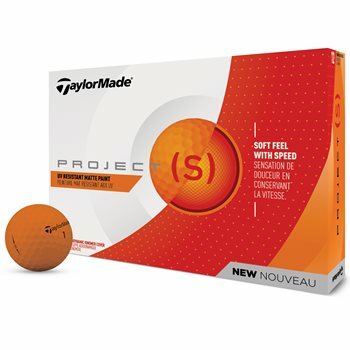 The TaylorMade Project (s) golf ball offers incredibly soft feel while focusing on low driver spin and significant driver distance. The Project (s) features a Dual-Distance Core two-layer system, with a large, low compression inner core and softer-resilient polymer outer core to provide more greenside spin and soft feel. TaylorMade’s high lift 324LDP dimple pattern and lower backspin construction reduce drag throughout the ball’s flight for more distance while the aerodynamic Ionomer cover improves feel and control around the green.